NO GIRL! NO WOMAN!! NO LIFE!!! 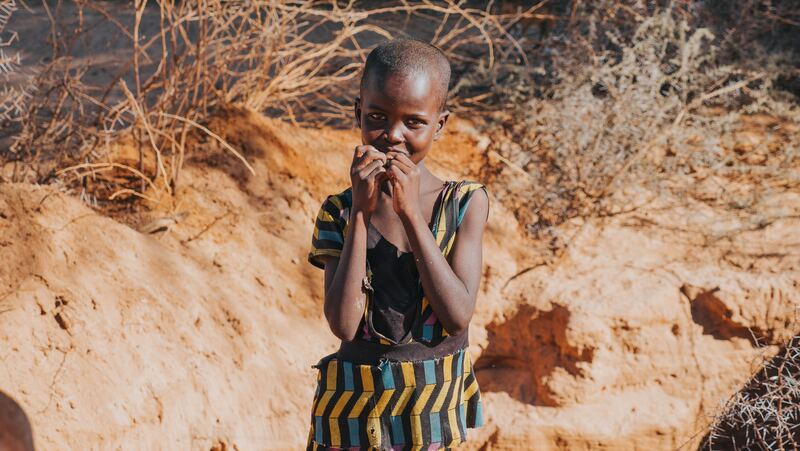 The world’s 1.1 billion girls are a source of power, innovation, strength and creativity. Today, 11th October 2017, Nigeria Network of NGOs joins partners all over the world in marking the International Day of the Girl to recognize the imperativeness of empowering and investing in girls. This year focuses on the theme ‘With Her: A Skilled Girl Force’. The world must also focus on the need to invest in healthy, skilled and resilient (girl force) a key to competing effectively in the global economy. Many countries have records of Girl Child being denied of human rights and sometimes her basic needs. The Convention on the Rights of the Child, adopted by the United Nations General Assembly in 1989, sets the basic human rights of children; the right to survival and development of potential; protection from harmful influences, abuses and exploitation and full participation in family, cultural and social life. Based on their gender, girls increasingly face gender inequality. This inequality includes access to quality education, nutrition, legal rights, medical care, protection from discrimination and child marriage. According to the International Labor Organization, 1 out of 3 girls will be sexually abused before they reach age 18. The message is clear, globally, more than 1.8 billion people between the ages of 10 and 24, and more than 90% of these young people live in developing countries with the girls suffering the most. Research also reveals two-thirds of the 774 million illiterates in the world is female. Despite transformation in the last decade, millions of girls are still denied right to education, more than 62 million girls around the world have no access to education. Of these 17 million are expected never to see nor sit in the four walls of schools. 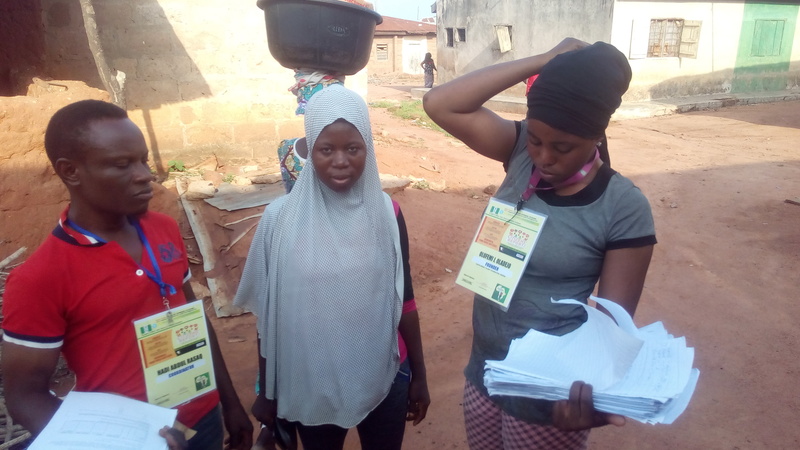 Several countries have millions of girls out of school: In Nigeria, there are almost five and a half million of them, many of them missing out on the chance to learn vital skills for employment and livelihood. Worldwide, girls ages 5 to 14 spend more than 160 million hours more on household chores. To achieve gender equality and other SDGs, many now recognize that it is essential to support and invest in girls. A substantial number of young girls in the world face various challenges that are often overlooked. Some of the risks include child marriage, early pregnancy, unsafe abortion, HIV and other STIs and genital mutilation to mention a few. The United Nations Population Fund estimates that 100 million to 140 million girls and women have undergone genital mutilation with another 3 million at risk of the practice every year. Skills for girls are one of the best strategies for protecting girls against child marriage. UNESCO notes that 116 million women across developing countries worldwide have never completed primary school, while two-thirds of the illiterate population worldwide is female. With 5.5million girls out of school and without skills, Nigeria leads Africa in gender inequality. 2018 records about 12 million girls under 18 will be married, and 21 million girls aged 15 to 19 years will become pregnant even in developing nations. Nigeria, with her workforce of about 77 million people, accounts for about 42% of the total population. Between 2014 and 2015, over four million young Nigerians entered the labour market, experiencing a growth of 53% between 2011 and 2015. 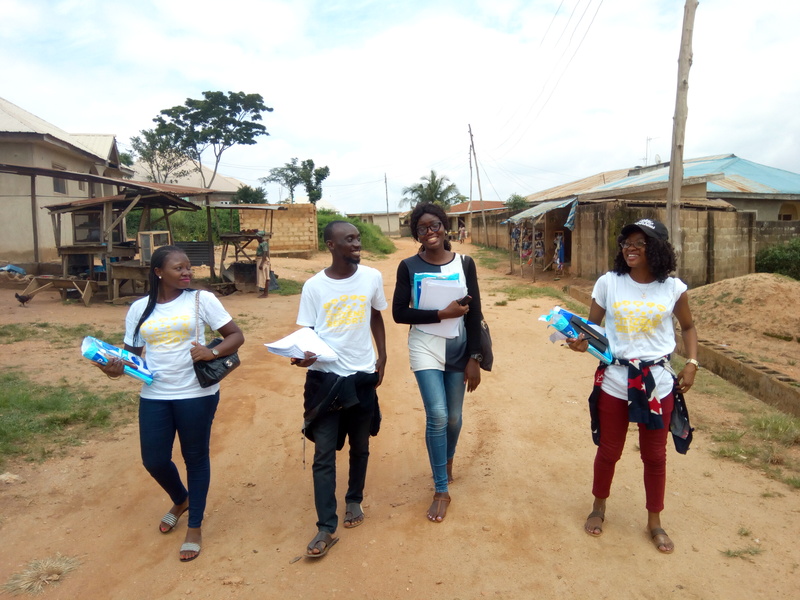 However, The United Nations Children Fund (UNICEF) opines that Nigeria is losing out on a literate and skilled workforce, many thanks to the huge number of out of school children. The world needs to begin to realize that girls’ education has a huge impact on all societies. Research reveals that skilled female is more likely to find work; are less likely to have children at an early age; skilled girls can save millions of lives: If all women are skilled, there would be 15% fewer child deaths. Girls with higher levels of skills are less likely to get married at an early age, with 14% fewer child marriages. Gender gap raises some fine questions. Why are boys more valued than girls? For the fact that age, income, culture, ethnicity and other intersecting factors are not often times factored, then gender must be treated as such, SDG5 must come to play and stay globally. The world could begin by drawing attention and invest on the most pressing need which is creating opportunities for girls to embrace several skills for an established SKILLED GIRL FORCE. To have a SKILLED GIRL FORCE, the world must invest and expand access to inclusive skills aside the job and educational skills, skills like professionalism, organizational, leadership and management, team building, analytical, life-skills and personal life skills all of these put together are believed would mold and transform them into an effective and productive FORCE today and tomorrow. Since the adoption of the SDGs, experts, civil society actors, and concerned intellectuals have had a lot to say about them. We have heard speeches, read articles, opinion pieces and more about what the achievement of the SDGs would mean for us as individuals, a country, a continent, and a planet. From iterating the simple meaning of the term, Sustainable Development Goals to speaking about each of the pieces that make it up, one would be inclined to think that quite a lot of discussions go on about the global goals, right? However, I bet when you go into the streets to ask average citizens what the sustainable development goals are, 90% -95% would gift you with responses ranging from a blank stare to derisive laughter, depending on how informed your pool of respondents is. It, therefore, begs the question, who discusses what? It seems to me that to a large extent, developmental issues and especially issues around the SDGs are in some way abstract or esoteric. I was recently embroiled in an argument about the non-abstractness of the goals and although I tried to do justice to my position, I was left feeling like not much was done. For some reason, it seems to me that developmental issues are not gaining much traction with the people that matter; citizens. If they were, shouldn’t at the barest minimum, every school-going child know what they are? A keynote speaker at a conference I attended last year spoke about how citizens need to begin to do more in terms of having and owning their voices. She had noted that with the huge human capital in Africa, especially since majority include young people between ages 15 to 45, more concern should be given the fact that our past, presents are futures are decided by a “few old men” in a room. The speaker had been affronted by what she called the “lack of attention of youths to matters of development”. She said she found it worrisome that youths had imbibed the notion of individuality over the African Ubuntu philosophy and this could only spell doom for sustainability. In retrospect, this kind of brings me to the #LazyNigerianYouths movement. Even though I felt insulted and unappreciated by that statement made by the President at an International gathering no less, I may now be inclined to not completely fault that statement. I sense a general air of malaise/fatigue when speaking with young people about hope for our country. We have been conditioned to manage our expectations because “the country is not smiling” and perhaps this is why many young men and women risk it all to leave the country. In my opinion, of every six young Nigerian you meet, five aspire to “escape” Nigeria to “any other country but here”, four are in the process of “arranging to leave” while two will succeed to the chagrin of the other three people. All with no intention of returning. Some may argue that these young people are cowards but sometimes I think, “can you really blame anyone for not wanting to stay?”. When you begin to explain the SDGs in terms of food provision, access to social amenities, income generation and provision of the basic needs of a person and all these are tied to the rights a person is entitled to as a world citizen, you have the attention of people who had, minutes prior to your explanation, given you an impatient shrug as to why you are being a disturbance on a hot Tuesday afternoon. There is more than a likely chance, that this would happen when your discussants are people in rural or hard-to-reach communities but when confronted with more informed individuals, you have a harder nut to crack it would seem. Citizens who have a more than sparse knowledge of the goals would argue that the global goals are an agenda cooked up by international communities who see the need to be the prince charming for the clueless damsel which African countries constantly prove themselves to be. Even though they make my job harder to do, can they, honestly be blamed for thinking that way? African leaders are not exactly known for initiating conversation along the lines of sustainable and developmentally-inclined policies. Someone once said, “In Nigeria, it is about the now, no one really cares about the survival of future generations”. In fact, I have been privy to one or two discussions about the inability of the government to implement the goals in totality…wait, that’s a little too mild. Many people, especially youths who are now jaded by the never-ending “promise and fall” attitude of authorities have blatantly expressed derision as to the notion that any government, especially an African one could achieve complete and total development. Regardless of what is being done about the SDGs and their implementation at the moment, I bet many people, are plagued by the question; “So what Happens after 2030?” After all, we are already three years into the adoption of the SDGs. On Tuesday 15 May 2018, the Senate of the Federal Republic of Nigeria passed the Companies and Allied Matters Act, 1990(CAP C20, LFN 2004) Repeal and Re-enactment Bill, 2018 (“the bill”). The bill consolidates the proposed amendments from two related bills: Companies and Allied Matters Act CAP C20 LFN 2004(Amendment) Bill, 2016 and the Companies and Allied Matters Act CAP C20 LFN 2004 (Amendment) Bill, 2017. The new Bill has now been renamed from “Part C to the Companies and Allied Matters (Part C of CAMA) to Part F to the Companies and Allied Matters (Part F of CAMA)”. The Bill aims to establish an efficient way of registering an organisation with ease, minimize the compliance burden of small and medium enterprises (SMEs) and bringing Nigeria’s foremost commercial law in line with international best practices. The key amendments in the draft bill presented by the committee to the Senate are highlighted below. Please note that the highlights below may vary once the harmonized version of the bill is finally assent to by the President. Reviewing the Costed Implementation Plan for Routine Immunization in Lagos State. LAGOS, Nigeria –/ A fully immunized child is one who has received the complete doses of the standard six antigens – BCG, Diphtheria Tetanus Pertussis (DTP) (3 doses), polio (3 doses), and measles vaccines. Globally, there are about 19.5million un/under-immunized children with 18% of them live in Nigeria. A survey conducted in 2017 using a Multi Indicator Cluster Survey (MICS) showed that only about 23% of children in Nigeria were fully immunized in the last one year leaving 77% not fully immunized. In addition, statistics from the National Immunization Coverage Survey (NICS) 2017 for Lagos State showed that 68% of children aged 12-23 months received full immunization. This implies that although RI coverage in Lagos is impressive, there is still a lot more work to be done to achieve 100% coverage with the intention of leaving no child behind. 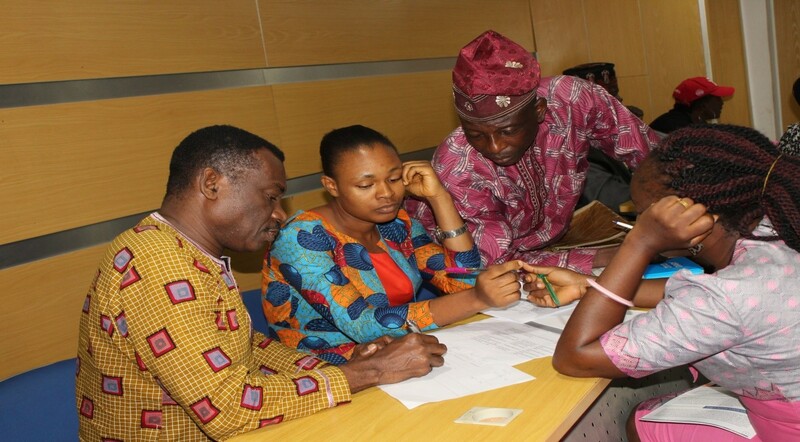 Understanding the critical role civil society organisations can play in attaining the 100% coverage goal for RI in Lagos State, NNNGO-PAS, following up on a civil society mapping exercise in March 2018, organised a strategy meeting with the Lagos State Accountability Mechanism (LASAM) on Friday 21, 2018 to review the costed implementation work plan for RI in Lagos State and to identify areas for advocacy. Organising a strategy meeting at this time was therefore not simply timely, but key to ensuring effective implementation of the RI costed implementation plan in Lagos state especially as governments begin preparations for 2019 RI year. “We must begin to articulate more focused areas of advocacy that would improve RI funding and coverage in Lagos State now and in the coming year-2019” said Oyebisi, B. Oluseyi, NNNGO-PAS Program Director, who noted that part of the objectives of the meeting was to engage meaningfully with government and other critical stakeholders through a technical review of the costed implementation plan for RI in Lagos State, new domestic funding schemes and conduct feasibility updates on same. Ayo Adebusoye, NNNGO-PAS Programs Officer further explained that the meeting also aimed at identifying capacity gaps amongst accountability mechanisms in the State, setting the foundation for addressing identified gaps with a view to strengthening and amplifying civil society’s voice on RI issues. As with many other states in the country, issues of inadequate financing for routine immunization and untimely releases is playing out strongly in Lagos, a State that prides itself as a centre of excellence. History proves that these issues have plagued reproductive health for a long time. A report released by InfoGuide Nigeria in May 2018, noted that “vaccines have always been problematic for Nigeria primarily because funds are insufficient or were not released on time”. The aforementioned roadblocks to RI service provision and delivery are compounded by inadequate cold chain infrastructure, weak preventive maintenance system of cold chain systems leading to rapid and continuous breakdown, inadequate supportive supervision, weak monitoring and lack of data for action as well as the slow integration of private providers in RI service delivery. Needless to say, there is an urgent need to intensify advocacy for a sustained increase in allocation to RI and timely release of such funds. Specifically, critical stakeholders must begin to tackle these issues by ensuring that governments fulfil their commitments to RI with emphasis on adequate funding. 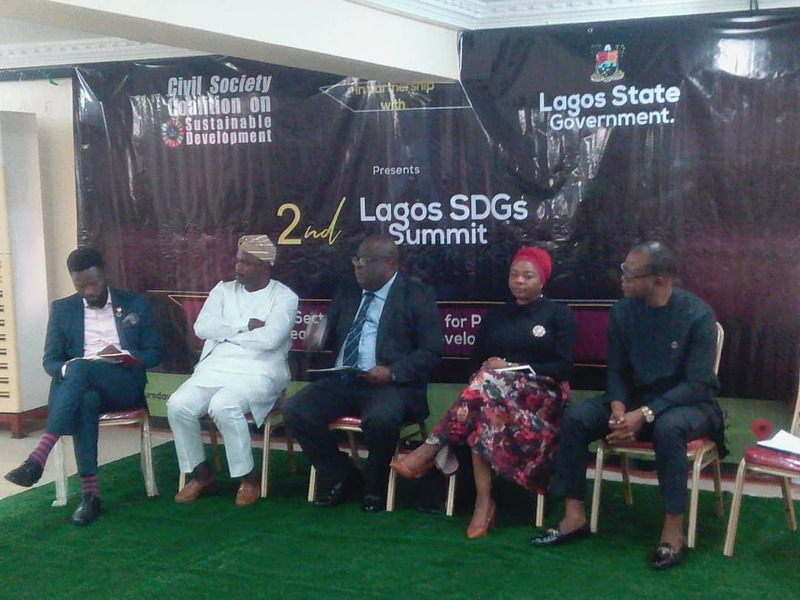 Oyebisi made the statement while delivering a keynote speech at the second Lagos State SDGs Summit with over 200 leading representatives of government, civil society, private sector and the media in Lagos. 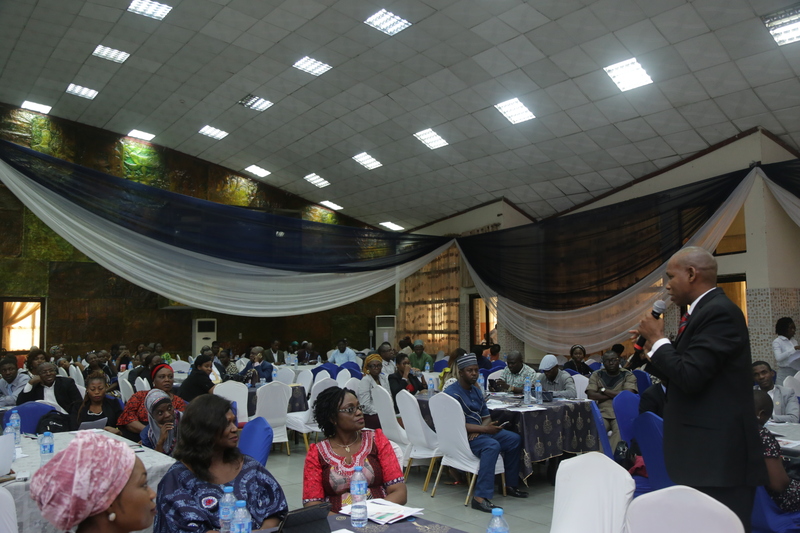 Lagos, Nigeria, September 20, 2018/ — NNNGO-PACFAH@Scale Project Director, Oluseyi Oyebisi on Thursday urged governments at the State and Local Government level to seize opportunities for a healthy population by improving on the release of funding for family planning (FP) and routine immunization (RI) in Lagos State. Oyebisi made this statement while delivering a keynote speech at the second Lagos State Sustainable Development Goals (SDGs) Summit with over 200 leading representatives of government, civil society, private sector and the media in Lagos. Speaking on the projects findings at the summit which had in attendance the Commissioner for Economic Planning and Budget, Honourable Sunday Olusegun Banjo, Oyebisi said: “from our work we have seen an increase in budget allocations to FP and RI in the 2018 budget and if we have more funds for our primary health care centers (PHC’s) to effectively deliver FP and RI services, we will see an increase to the uptake of family planning in the State”. “Honourable Commissioner, as I prepare for my presentation at this summit, I reviewed the score card developed by NNNGO-PAS on FP financing at the 41 local government areas of Lagos State. We have seen commitment to family planning in the health budget for the State and I applaud you for that. Here you can see how funds are released to PHC’s and how little these funds are. We see between 3000 and 25,000 Naira given to PHC’s monthly to buy FP consumables albeit irregular. An improved use of family planning services can help achieve our global goals objectives with results seen in the areas of unintended pregnancies, a cut in maternal and child deaths–giving women more control over their lives and the chance to work. Honourable Sunday Olusegun Banjo, Commissioner for Economic Planning and Budget, Oluseyi Ojurongbe, Working Team Private Sector Advisory Group on SDGs Nigeria and Mories Atoki. – SM Sustainability, SDGs & Climate Change Pricewaterhousecoopers Inc were among panelists discussing multi-stakeholder approaches to attaining the SDGs at the event. Addressing participants, Honourable Sunday Olusegun Banjo explained that the Lagos State Government is willing to partner with civil society organisations and the private sector in attaining the SDGs in Lagos State and “stands ready to receive feedback from all stakeholders on how to improve and prioritise development in the State”. Oyebisi who is leading the Nigeria Network of NGOs /Partnership for Advocacy in Child and Family at Scale, PACFaH@Scale, (PAS) a social accountability project aimed at ensuring improved financial commitment to FP and RI in Lagos State also met with a section of nonprofits at the event to discuss the PAS project. The disease is called Sickle Cell Anaemia. The sufferers are called ‘Sicklers’ and sadly so, the disease currently has no cure. Born September 1st 1965 to a professor of medicine (father) and a trained nurse for a mother, Toyin’s educational journey thus began at the University of Lagos staff school; Our Lady of Apostles Secondary School and then unto The Lagos State University where she graduated with a degree in Economics in 1992. Oluwatoyin, sickle cell warrior of over 50 years, admitted that sickle cell disease can be managed and avoided and that the crisis is better imagined than experienced for they are overwhelming and often times annoyingly disrupting lives of sufferers and that of their families. With a mission to empower and improve lives that have been attacked and ravaged by sickle cell anaemia disorder – by educating, providing support and transforming them such that sufferers begin to live healthy, positive and interesting lives even amidst their challenges. Author of the book ‘STILL STANDING’, the book tells of the writer’s struggle, physical, psychological and emotional pains she went through and how with courage and determination she was and has been able to beat all odds. 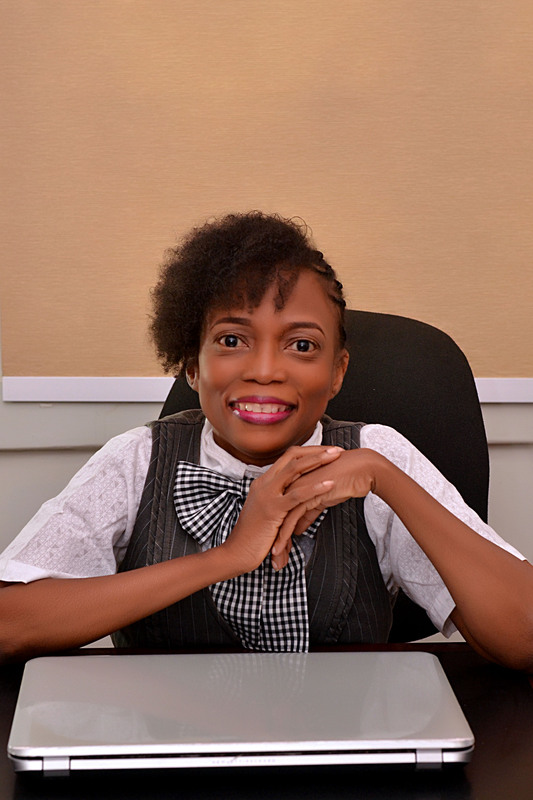 Health & Chronic illness coach, author and motivational speaker, Oluwatoyin, AKA – STILL STANDING is a woman that can vividly be described as the “small girl with a big God”. She enjoys reading, writing and listening to music. She has over 10 years experience in Social Responsibility. She is passionate about making a huge positive difference in the lives of Sub-Saharan Africans living with non-communicable skin conditions, disfiguring appearances such as burns and scars. 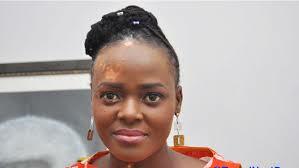 Born 14th June 1974, Ogo was diagnosed with Vitiligo in 2005, a skin condition in which white patches of skin appear on different parts of the body with no clear cause nor cure. Making lemonade out of her lemon through sheer doggedness and positive can-do attitude, Ogo is an advocate for the low-self esteemed, who have been stripped off their body confidence, educating them on how to overcome their struggles such that positive self-image mindset is birthed. A social entrepreneur, blogger and an optimist. Ogo is the founder and Executive Director of Outer Shell Africa and Vitiligo Support and Awareness Foundation (VITSAF), the first Vitiligo patient-driven organization that is creating awareness and providing succor for Sub-Saharan Africans. Through her work, Ogo mirrors her life to the people with vitiligo by providing succor for them. Her educational qualifications include PGD in Financial Management from University of Ado Ekiti and Higher National Diploma (HND) in Business Administration & Management from Rivers State, Nigeria. She has also attended various programs, bagging certificates in; Using Media for Development 2014 from Radio Netherlands Training Center RNTC; Advocacy and Citizen Engagement from Coady International Institute, St. Francis Xavier University Canada (2013); Good Governance and Social Accountability from Coady International Institute, St Francis Xavier University Canada (2013); Social Sector Management (2011) and Certificate in Entrepreneurial Management (2008) from Enterprise Development Center of Pan Atlantic University, Lagos. Miss Ogo is a distinguished Ashoka fellow with multiple awards and honour: Enterprise Challenge 100 Award, Celebrating IBM 100 years (June 2011); Indulge Wellness Award, in the category of Self Esteem and Self Confidence (November 2011); Ashoka Fellow (April, 2012); Nonprofit Leadership and Excellence Award, Health and Gender Category, Africa Social (December 2012); Architects of the Future Award (2013) and TechWomen Emerging leader (2014). She is also the developer of World Vitiligo Day. To her social entrepreneurial credit, Ogo embraced social clothing enterprise(2007)whose yearly fashion show features individuals with viitligo walking the runway, the project has advertently helped them have a sense of belonging by building their self-confidence and appreciating their body flaws. Ogo Maduewesi is indeed an inspiration, in her spare moment, Ogo loves reading, writing and listening to music. The time has come for the civil society community in Nigeria and world over to speak up against the shrinking civic space in Nigeria, Spaces for Change [S4C] and Nigeria Network of NGOs (NNNGO) said today, after the National Assembly invasion. Heavily–armed security operatives of Nigeria’s Department of State Security Services (DSS) barricaded the entrance of the Nigerian federal parliament on Tuesday, August 7, 2018, preventing federal lawmakers from accessing their offices to carry out their lawful legislative duties. “The civil society community must strongly resist these undemocratic tendencies. Nigerian authorities must end this trend of shrinking civic space and weakening of democratic institutions in the country”, said Ms. Yemisi Ramsome-Kuti, Nigeria Network of NGOs Trustee. DSS’ Tuesday invasion of the National Assembly is the height of closing civic space any country could witness in a democracy, said Victoria Ibezim-Ohaeri, Executive Director at Spaces for Change. Nigeria’s Vice-President ordered the sack of the Director General of the DSS following the intense public outrage that greeted the invasion. While we applaud and welcome the sack of the Director General of the DSS, it must be noted that there are several cases of attacks by the DSS on civil society activists, journalists and human rights defenders in the country. Spaces for Change has has tracked 103 incidents of governmental restrictions on free speech, association, religious and assembly rights that occurred between May 2015 – May 2017. See www.closingspaces.org. In its March 2018 United Nations Universal Periodic Review Report submitted to the United Nations Human Rights Council, the NNNGO and Civicus are “alarmed by attacks on and intimidation of human right defenders, civil society activists and journalists in Nigeria, predominantly carried out by operatives of the Department of State Security”. The civil society community cannot continue to look the other way as DSS’ role in the closing of civic space in the country continues. With the invasion of the National Assembly, Spaces for Change and the NNNGO are concerned the attack and intimidation by the DSS on citizens will continue to grow if not properly checked. We are very alarmed that a revered institution such as the National Assembly can be invaded by the DSS in a democracy. Spaces for Change and the Nigeria Network of NGOs stand together with the National Assembly in this difficult time and we continue to call for the protection of civic space by all democratic associations, movements and institutions in the country. The DSS reports directly to the Presidency. Accordingly, President Mohammadu Buhari must make good his commitment to the rule of law by not only ordering all security forces in the country to respect the rights of citizens to freedom of assembly, speech and association, but also by restraining the DSS from continuing its vicious campaign of intimidation and suppression of the rights of citizens under the guise of state security. The new DSS boss must show true leadership and heed the demands of citizens and citizen organisations to release citizens detained by DSS for exercising their rights to the freedom of peaceful assembly, speech and association and review their cases to prevent continued harassment. “Nothing can ever wipe out the unimaginable trauma our democracy and civic space witnessed yesterday in the hands of the DSS. The minimum the government of Nigeria can do at this time is to provide restorative measures capable of reassuring the National Assembly and the over 170 million Nigerians who elected them that their rights to freedom of association, speech and assembly is guaranteed. The Nigeria Network of NGOs (NNNGO) is the first generic membership body for civil society organizations in Nigeria that facilitates effective advocacy on issues of poverty and other developmental issues. Established in 1992, NNNGO represents over 2,400 organizations ranging from small groups working at the local level, to larger networks working at the national level. Read more at www.nnngo.org. Nonprofits across the country have begun to witness a trend of routine inspection by officials of the Special Control Unit against Money Laundering, SCUML and Economic Financial Crimes Commission, EFCC. These visits are part of the mandate of SCUML and EFCC to determine the compliance rate of Nigerian NPOs with the Anti-Money Laundering and Countering the Finance of Terrorism, AML/CFT regime and serve as a way for government to better keep track of the activities of NPOs. Ultimately, they help to ensure that NPOs are not vulnerable to risks of being used as conduits for Money Laundering, ML and Terrorism Financing, TF. A routine inspection by SCUML is often heralded by an official letter stating the dates and time the visit will occur; along with a list of documents they would like to see during their visit (Below is the list). The Executive Director or whoever is the head of the organisation is expected to be available to receive them. Note that the team will sight the originals of the documents listed above.